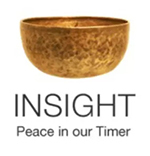 For eight weeks we have been exploring the Buddha’s Wise Eightfold Path in order to incorporate it into our lives in a way that truly serves us. At any moment we may find ourselves distressed about something. When we recognize the turmoil in our minds, we have options: We can take ourselves into full freak-out mode, distract ourselves with mind-numbing addictions, climb back in bed and pull the covers over our head, mull the problem over endlessly in our thoughts and in conversations with our declining number of friends and family willing to listen, OR, here’s an idea: We can turn to the Eightfold Path to see how we got here and what to do about it. If I just got some sad news and my heart is heavy, I can remember Wise Mindfulness and simply be present with what is arising. I can acknowledge that, as uncomfortable as the thoughts and emotions are, there is nothing to fix here. This is part of life loving itself. I can attend all that arises with the compassionate awareness that the pain will shift, change and diminish in time, as all experience does. Or maybe I feel guilty about something. Can I greet guilt as a useful messenger? Can I open to receive the message, deal with it and then let the messenger go? Yes I can, if I stay present and do some inquiry: Do I feel guilty because of something I said? Then I can look to Wise Speech and see where I misspoke. Was it something I did? Then I can look at Wise Action. In either case, if I am being honest, I can see just how I got myself into trouble. If I can be more conscious of how my words and actions have an impact, I can make apologies and reparations to whatever degree is possible. Then, and only then, I can let go of the guilt. It’s served its purpose. Am I feeling ashamed for the way I’m making a living, investing or spending money? Then I can look at Wise Livelihood and see how I might make some adjustments. Sometimes it seems so challenging to make big changes, but the biggest change comes afterwards, with the sense of inner freedom attuning to Wise Livelihood brings. When looking at any of those three — speech, action and livelihood — I can ask ‘What was my intention there?’ I might discover that my words and actions weren’t aligned with Wise Intention. I might say, ‘Oh, yes, I see that I wasn’t present in the moment. Instead my mind was elsewhere.’ And I might see that I wasn’t being compassionate, either with myself or another. And if I wasn’t being present, wasn’t activating Wise Mindfulness, then I need to use Wise Concentration practices more in my meditation. So I rededicate my daily meditation practice, consider going on a silent retreat, and make a point of noticing in each moment all the beauty around me, with deep appreciation for this gift of life — even when it feels difficult, painful and challenging. If I notice myself striving, so focused on some goal that I’m blinded to the moment, or if I see that I’ve fallen into a habit of mindless boredom, stuck on the couch with the remote, never getting the things done that I say I want to do, then I can revisit Wise Effort to see how to bring myself back into balance. If I feel isolated, defensive, judgmental and am more concerned with how people see me than how I can contribute to the general well being, then I can look to Wise View. I can recognize how my skewed perceptions are causing me misery. Over time, through mindfulness practices, my view naturally shifts into deeper understanding of the way of things. But even without that, I can at least identify that this is where my current challenge lies, and that will inspire me to keep meditating, to do compassionate self-inquiry, to spend time in nature, the greatest dharma teacher of all. See how all of the aspects of the Buddha’s Noble Eightfold Path work together to guide us back to being fully present with joy and gratitude? What a useful tool! But the challenge for many people is how to remember all the aspects. How to become so comfortable with them that we can turn to them in our greatest need. For me, and for many of my students, a list is a hard thing to commit to memory in a way that is meaningful. So a number of years ago I came up with what I call the ‘Cooking Pot Analogy’. I have used it to teach the Eightfold Path over the years, and students agree it makes it so much easier to remember and work with. for you to have on hand for any moment you feel you need it. Keep it handy! Feel free to share. This entry was posted in analogy, Buddhism, cooking pot analogy, Eightfold Path, inquiry, insight, wisdom on March 4, 2017 by Stephanie Noble. Thanks Stephanie, this is great reminder how to be joyful and fully present. Sending light and brightness to you.